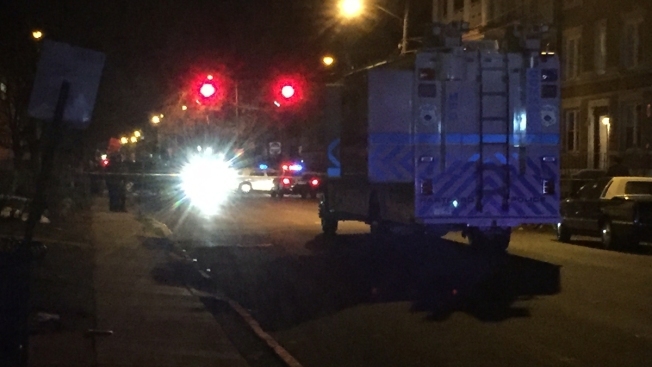 One man was killed in a shooting on Ashley Street in Hartford Monday night. A 30-year-old Hartford man is dead after a shooting in Hartford Monday night, according to police. Police identified the victim as Darren Crittenden. Deputy Chief Brian Foley said police responded to 114 Ashley St. just after 10 p.m. after receiving a 911 call reporting a serious assault with a firearm. Police said Crittenden lived at the address. Officers who arrived at the scene found an unresponsive man suffering gunshot wounds. First responders performed CPR and Crittenden was taken to Saint Francis Hospital, where he was pronounced dead at 10:21 p.m., police said. Foley said police found multiple shell casings at the scene. No one is in custody and police have not released a suspect description at this time. The Hartford police major crimes division is investigating.